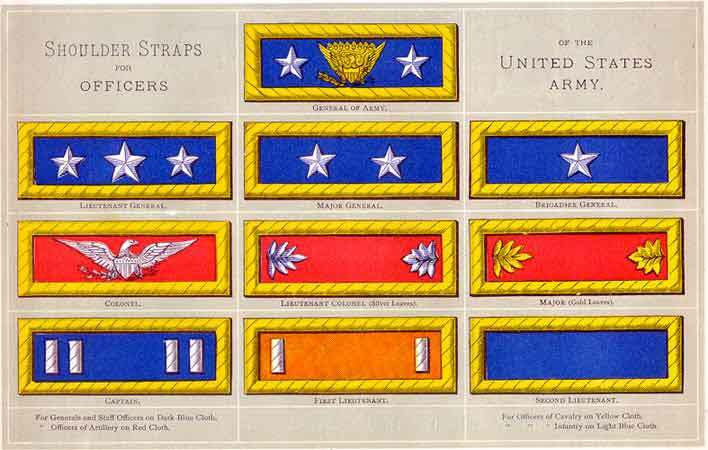 Shoulder straps were grade (rank) insignia worn on the ends of the shoulders. 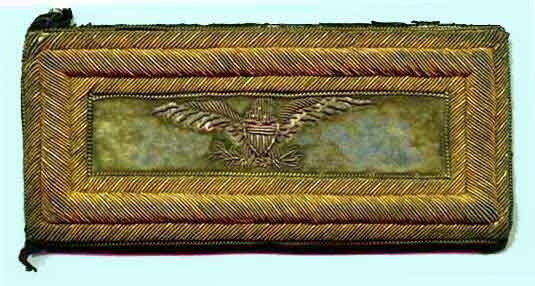 This album contains representative examples of shoulder straps of various periods beginning with pre-Civil War ones. Click on the image or caption to see the page. 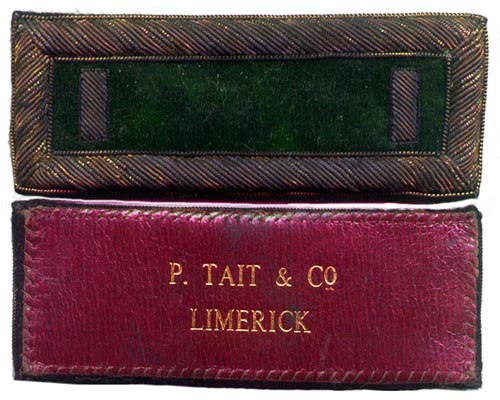 There is a text of the 1861 regulations with linked illustrations and discussions appended to this web site. 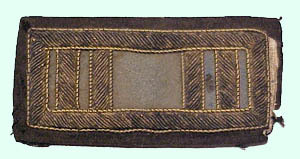 Within that section are a number of images of shoulder straps. These can be seen by following the below links.